Changing the glazing inside your home can transform your room whilst enhancing its privacy. 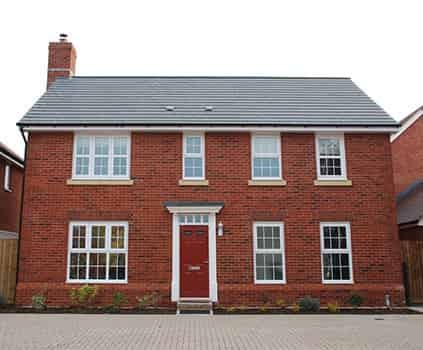 When choosing new double glazing for your home in Essex, Hornchurch, Edgware or Middlesex, there are a whole host of glazing options you can select. Read on below to view our range of glazing options and get in touch with us today. We pride ourselves on offering our customers with the best products on the market. This is why we work with market leading suppliers to ensure you are getting toughened products at an affordable price. Our installers are also the best in the industry, ensuring you are getting an exceptional installation every time. Browse through our range of glazing options and get in touch with our team of experts today. Your new double glazing options in Essex, Hornchurch or Edgware is available in a range of glazing options, patterns and finishes to offer a more personal style to your home and conservatory. If you are looking to add character and individuality, our decorative glazing options provide you with hundreds of design and styles to choose from, that look great in bathroom windows, front and back doors or anywhere you wish. To ensure you are getting a bespoke set of products for your home, we offer a variety of customisation options. This range includes a variety of handles for both windows and doors. Designed to suit your personal taste, we are sure there is something here for everyone. Our handle variety includes a range of styles, colours and designs to suit your glazing options, these include black, white, silver and gold. Privacy glass is an excellent way of offering varying levels of obscurity for rooms in your home. Our range of privacy glass comes with a host of levels, depending on how obscured you wish the view to be. Keeping your home in Essex private is an easy task with us. Get in touch to find out more. Lead work glass is carefully handcrafted and available in different shapes and sizes. Each double glazed window is made to measure and fit in with any other glazing options you already have in your Essex property to keep the design consistent. Bevelled designs are individually hand crafted using slim lined bevelled glass. Choosing bevelled designs is an excellent way of adding a personal touch to your home in Essex, Hornchurch or Edgware. With unique flair and original designs you can really stand out from your neighbours. Part of the enjoyment of new windows is making it your own. 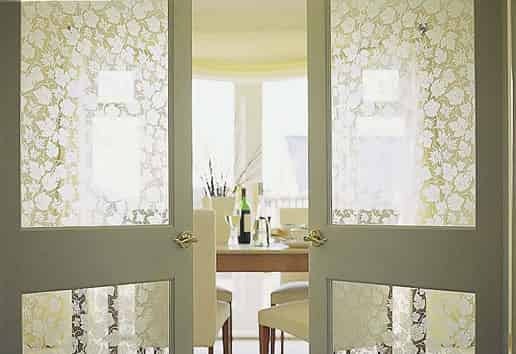 We offer a range of decorative panels to ensure you can do just that. Decorative panels are also known as top lights, and are handcrafted using the modern equivalent of traditional stained glass. With this particular style of glazing, each window and door can be as extravagant or simple as you like. You can choose to customise your new set of glazing options with our range of stunning internal Georgian bars. Our internal Georgian bars are fitted between the two panes of glass that make up the window. Available in a variety of shapes and sizes, there is sure to be one that suits your design specification. Add a sleek, charming appearance to any property. Do you need more information regarding our range of beautiful glazing options? Or do you just want to talk through your new home improvement project? Our team of friendly experts are on hand to help! Get in touch with us today using the methods outlined below! To find out how much your new home improvement project will cost, simply use our online quoting engine. It is quick and simple to use, giving you a quote in minutes. All you need to do is enter a few dimensions and we will be in touch as soon as possible with a quote, and to answer any questions you have. Or, if you want to ask us questions about our unique glazing options, get in touch with us today by using our online contact form. Our team of experts have years of knowledge in the industry, meaning you will be getting expert advice that you can rely on. They can even call you back at a time that suits you. Send us an email today. Alternatively, if you would like to talk through our range of stunning glazing options, give us a call on 01708 463526. We will filter our years of knowledge to give you the necessary information. Feel free to ask our experts your range of questions and they will give you detailed answers and a quick quote at the end.